I was a huge fan of Waller’s first young adult novel, A Mad, Wicked Folly, so when Penguin sent me an advanced copy of The Forbidden Orchid, I was pretty excited. To be honest with you, I wasn’t familiar at all with the concept of plant hunters during the Victorian Era, and here in America we learn very little about the Opium Wars. In world history we just touch on them, and I’m pretty sure my teacher just said, “Then there was the Opium Wars. Moving on…” I really appreciate this about Waller, because I made the same comment about A Mad, Wicked Folly. She is really touching on subjects that American readers will benefit from learning through her historical fiction. Some of the same themes run throughout The Forbidden Orchid as in A Mad, Wicked Folly, and there is a very similar formula. Formula: Privileged upper middle class British teen girl + patriarchal society of England (interesting considering there was a powerful Queen on the throne during BOTH novels) + familial duties + said character’s sense of adventure/individuality + character wanting more than the privileged life she already has. I’m totally okay with this formula in Waller’s novels, because it works. The characters are so wonderfully developed with the flaws of those who come from privilege, and they are frequently made to check that privilege when dealing with other characters. Similar themes that show up in both: Romance (obviously as it is a Young Adult novel), Political Climate, and Women’s Rights. However, much like in A Mad, Wicked Folly, the romance really takes a back seat to the primary focus of the novel. Waller is excellent at constructing a meaningful romantic relationship without having the primary plot take a hit in favor of making a character swoon constantly in narration. Elodie really evokes some Ingrid Michaelson songs to me, as I think Michaelson has an exotic voice/sound that would really appeal to this character. So for me, I’m going to characterize Elodie with one song: Are We There Yet. “They say that home is where the heart is/I guess I haven’t found my home/And we keep driving round in circles/Afraid to call this place our own” Even though Elodie has a home and lives comfortably with her family there is just something missing. So Michaelson’s pleading voice repeating Home, Home, Home just really feels like it could be Elodie questioning her purpose in life. Splitting the novel into parts was a great way to avoid boring narrative where the time jumps were due to the long nature of travel from England to China. I really only found the book lagging toward the beginning, but I think it suits the dull nature of Elodie’s existence in Kent versus the quicker paced last half of the novel, as she is finally experiencing travel and plant hunting. Overall I really enjoyed this novel and read most of it in one sitting. 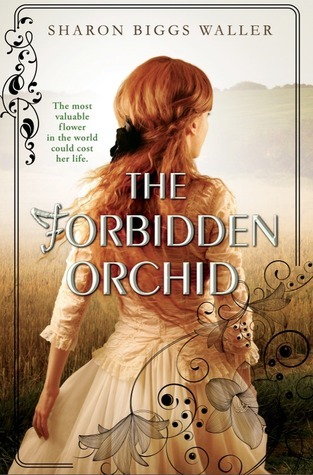 Get your copy of The Forbidden Orchid today! 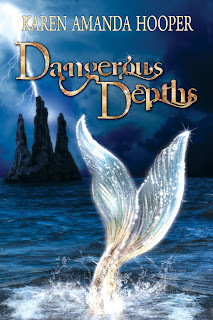 Happy Release Day to Karen Amanda Hooper and her new novel Dangerous Depths, one of the sweetest and most talented independent authors out there! The gate to the sea creature realm is finally open. Rownan assumes the worst is behind him when he returns home after years of waiting to be reunited with his wife, Vienna. Only to find out that Vienna didn’t wait for him. She traveled to the evil realm of Harte years ago, hoping the legend of another gateway to Earth’s realm was real, but she was never heard from again. Rownan claimed he’d go through hell to be with Vienna, and now he must prove it. Yara wanted to bask in the glow of her happily ever after in the magical realm of Rathe. She planned to explore Medusa and Poseidon’s world and dive deeper into her relationship with Treygan, but as the new leader of Rathe, her powers are needed to save more than one member of her own kind. Treygan vowed to always be Yara’s guardian, but long ago he also swore to go any lengths to protect his brother Rownan. Now, he must fulfill his promise to both of them. Rownan, Yara, and Treygan are about to put their lives and souls at risk by traveling to the most dangerous realm of the worlds. Love should conquer all, but no one has ever conquered Harte. Song list in chronological order of when they take place in the story. Just the mentioning of Bliss and Garrick in Faking It wasn’t nearly enough for me, I wanted to know how their life continued together and to just feel the intense love between them some more! So not only does Carmack deliver (and man, she delivers! ), but the readers get more insight into Garrick through his point of view, and we finally get to learn a little bit about his hidden past. Turns out that he has a very interesting background, but I really don’t want to give away anything. My review is short and to the point, if you are a fan of Carmack then you definitely need to read this. 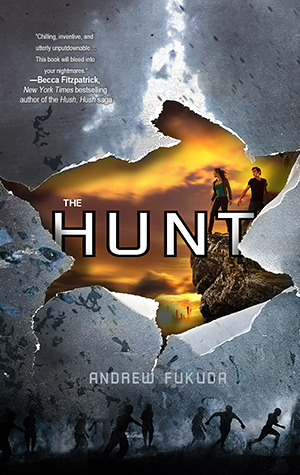 So excited to announce that on January 29, 2013…….Andrew Fukuda’s second book in The Hunt series, The Prey….is being released! 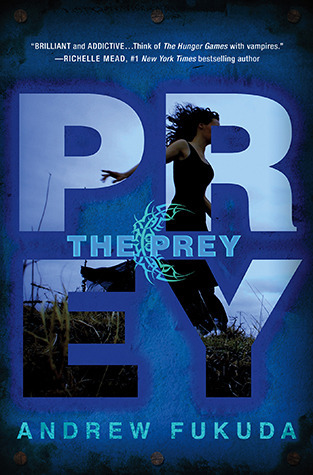 If you haven’t read the first book, The Hunt, check out the synopsis below, and if you have, be sure to pick up a copy of The Prey on Tuesday, January 29, 2013! Gene is different from everyone else around him. He can’t run with lightning speed, sunlight doesn’t hurt him and he doesn’t have an unquenchable lust for blood. Gene is a human, and he knows the rules. Keep the truth a secret. It’s the only way to stay alive in a world of night—a world where humans are considered a delicacy and hunted for their blood. When he’s chosen for a once in a lifetime opportunity to hunt the last remaining humans, Gene’s carefully constructed life begins to crumble around him. He’s thrust into the path of a girl who makes him feel things he never thought possible—and into a ruthless pack of hunters whose suspicions about his true nature are growing. Now that Gene has finally found something worth fighting for, his need to survive is stronger than ever—but is it worth the cost of his humanity?